For the staff of EProjectConsult office it is a very busy time of the year! To be honest, it is always a busy time inside our International department, and we are happy for it! In these days some of our members participated to a conference in Rome organized from the Youth in Action National Agency, which the topic multi-linguism and analysis of its development during the implementation of the EU cultural projects at local and International level. At the same time, many of the LLP National Agencies published the selection results of the call for proposal of mobility projects which deadline was February 2012. Luckily, many of our European sending organizations partners communicated us that their projects were approved! What a satisfaction after months and months of online cooperation, skype conference, Letter of Intention and draft of training programs!! Now it’s time for putting in practice the theory, defining the programs, booking services, exchanging practical details, selecting of students and managing a constant contact with sending and local hosting organizations. 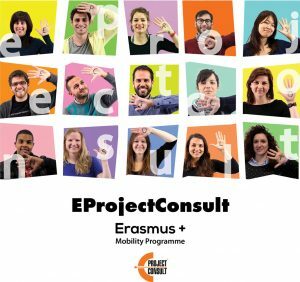 If you want a suggestion, in case you are planning to apply for a mobility program for next deadline (February 2013), apply to your National Agency in order to get the grant for a preparatory visit with your Intermediary or Hosting organization. After knowing better each other, it’s much more easier to work together! I’ll keep you informed about the development of our cooperation! Good luck!